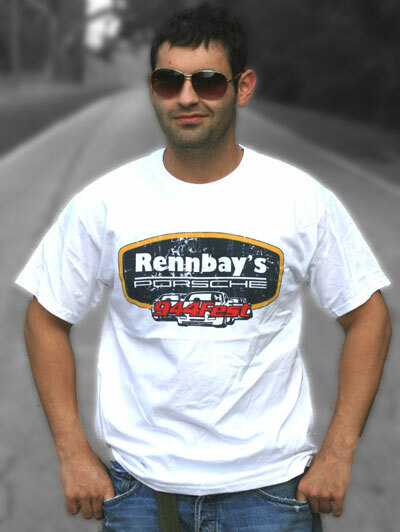 Rock out in this awesome Porsche 944Fest distressed logo shirt. Features the Rennbay sponsor name in a vintage badging theam with a distressed pattern over the entire logo. 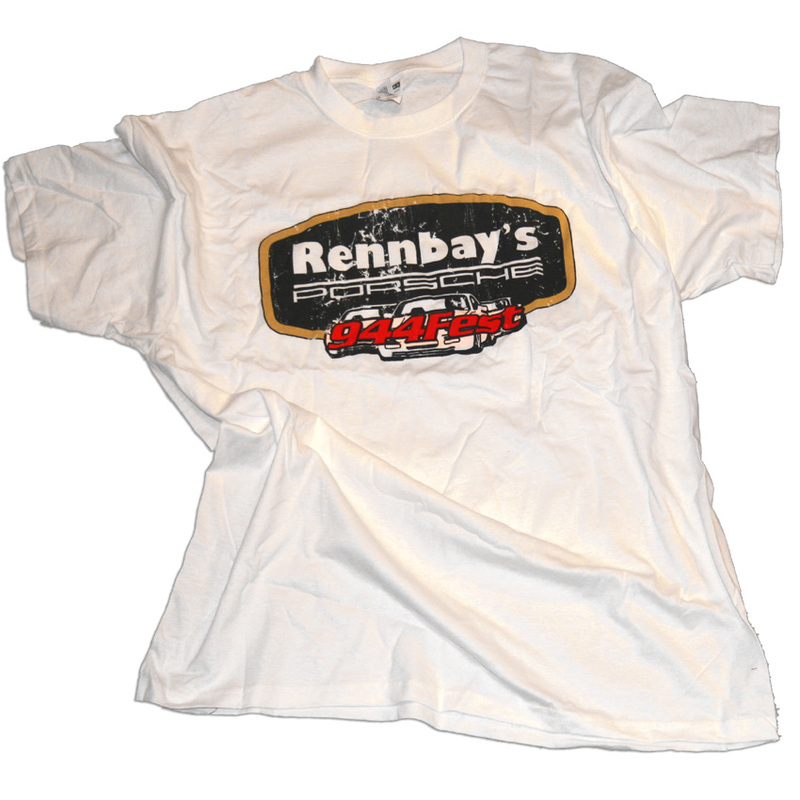 This shirt was available for sale at the 944Fest 2012 event. We only have a few left in select sizes so get them while they last.